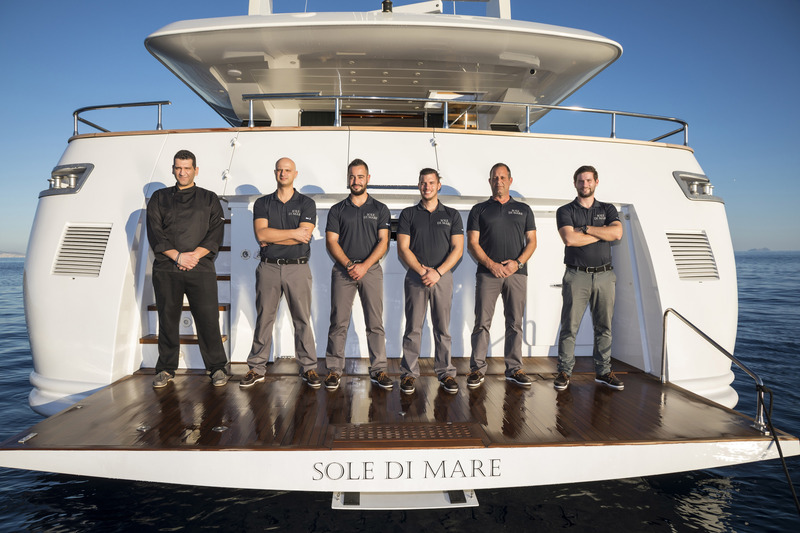 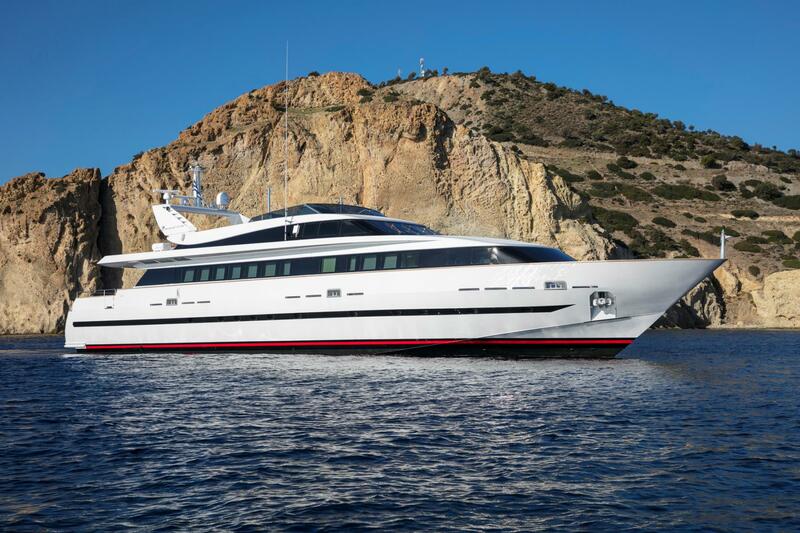 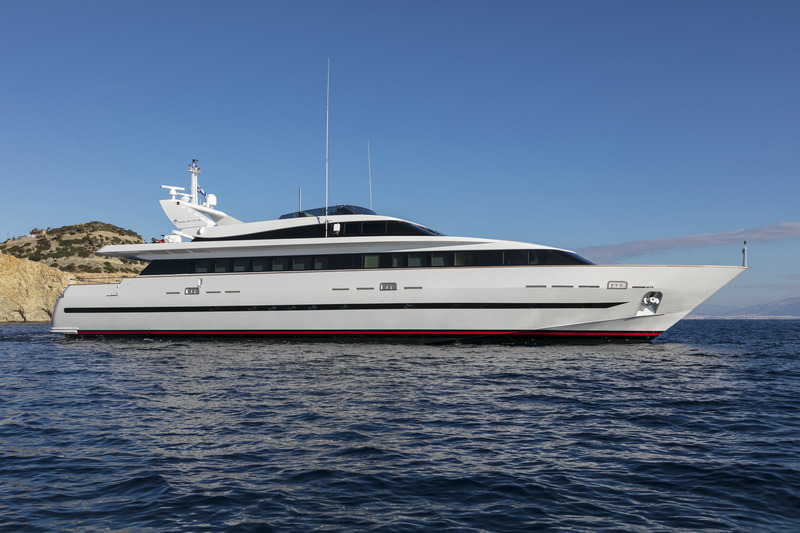 Built by Baglietto in 2000 and refitted in 2017, 36m/118ft motor yacht SOLE DI MARE is a fast planing superyacht with an aluminium hull and superstructure. 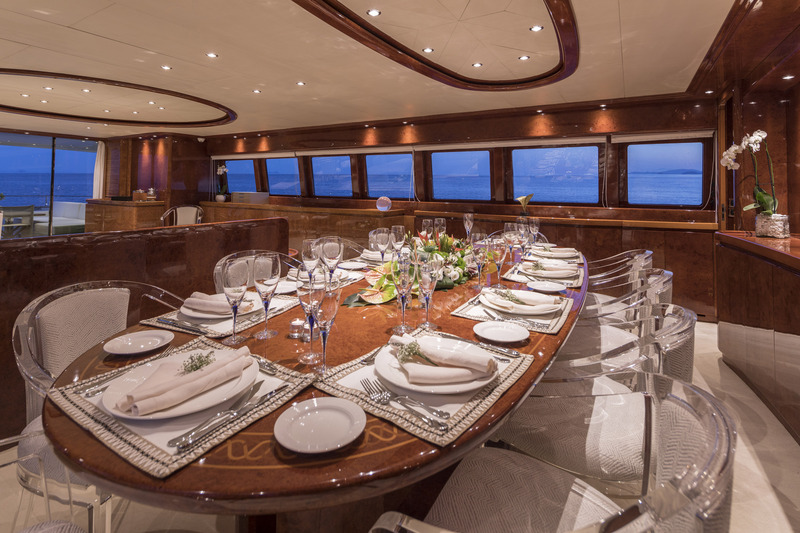 Her accommodation sleeps up to 12 guests over six cabins. 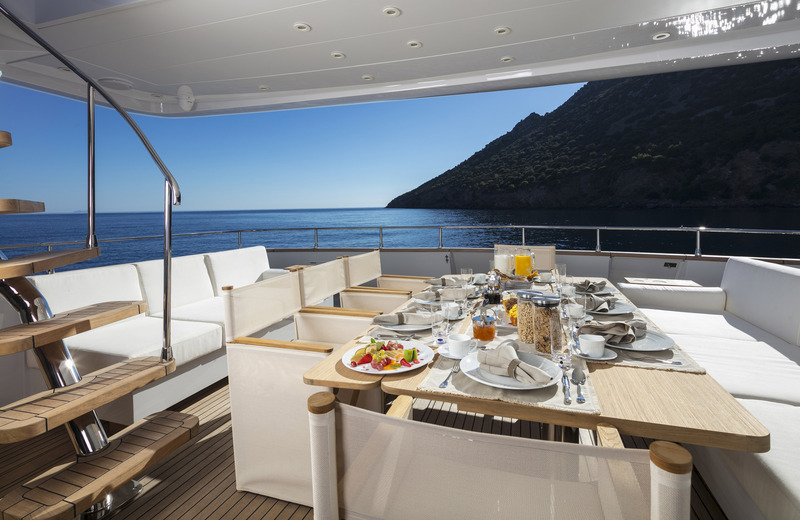 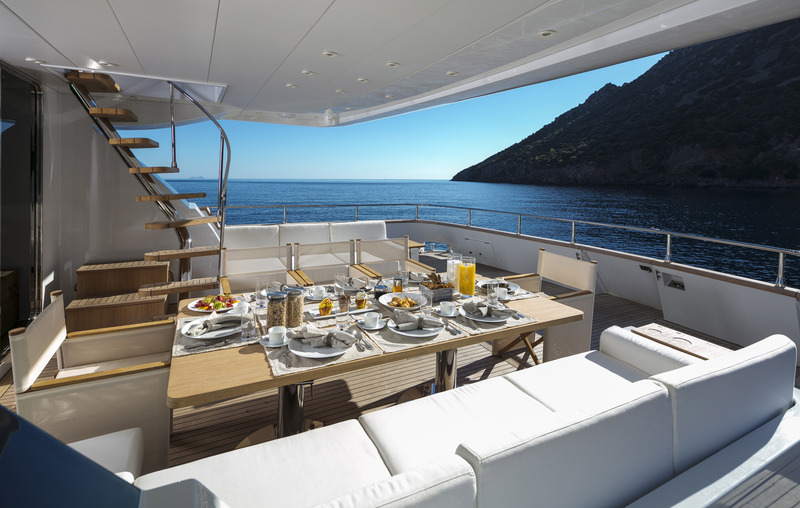 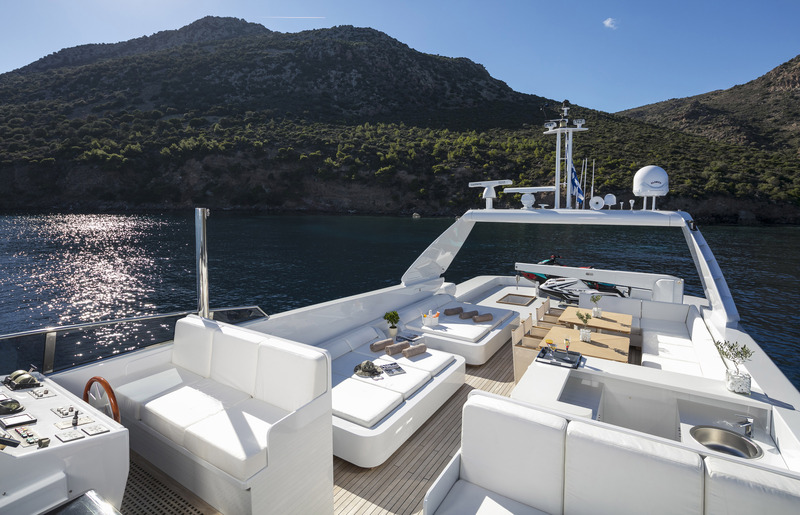 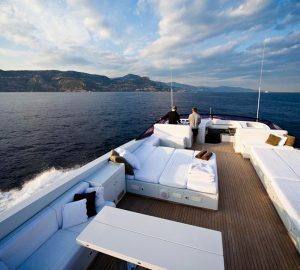 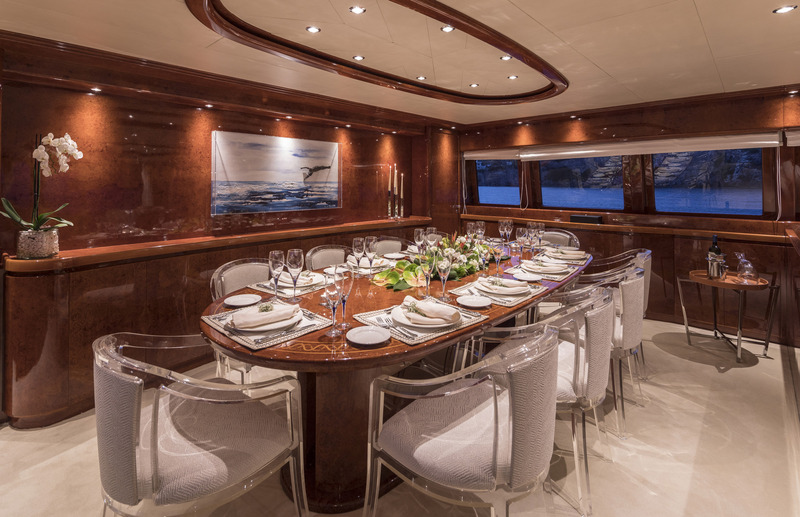 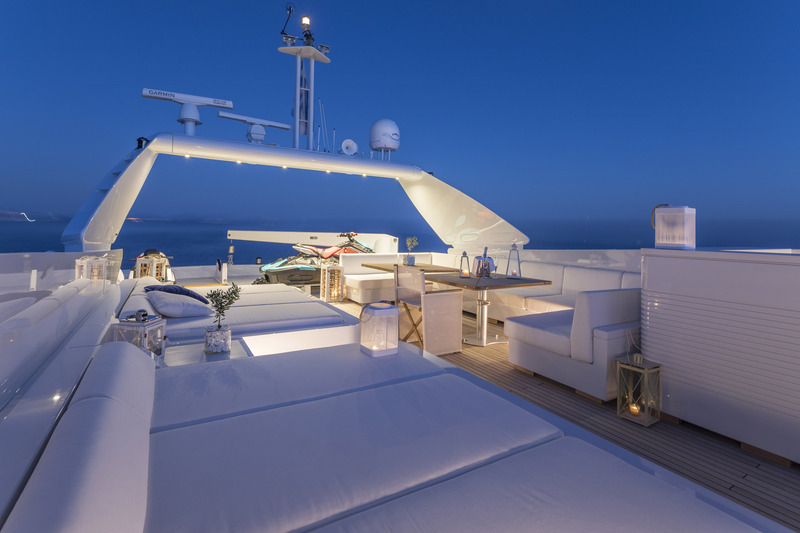 On the main deck the generous aft area is fitted with a spongy sofa and areas to dine alfresco, shaded by the flybridge overhang. 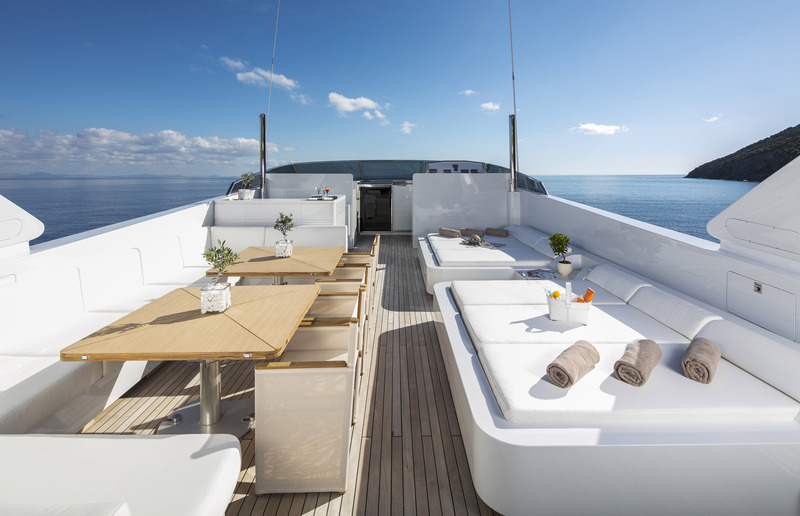 There are uninterrupted views out over the stern and steps lead down to the deep swim platform, where guests can sunbathe close to the water's edge. 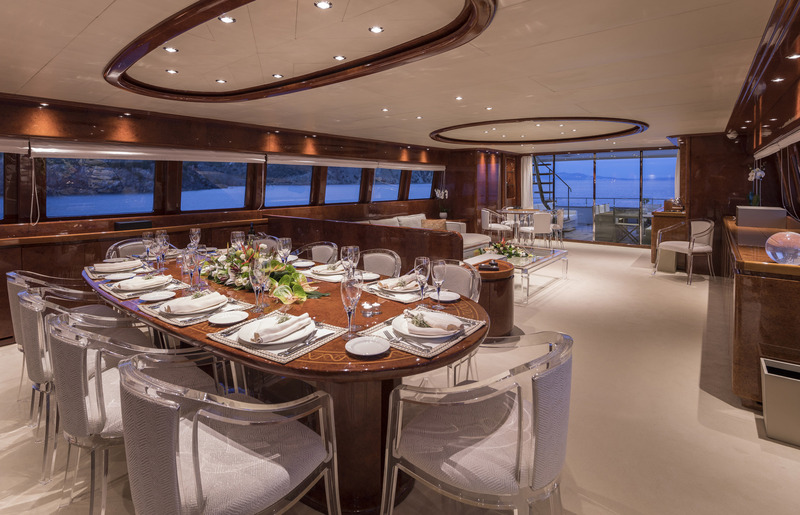 There is also seating on the bow for guests to spend time away from the main group. 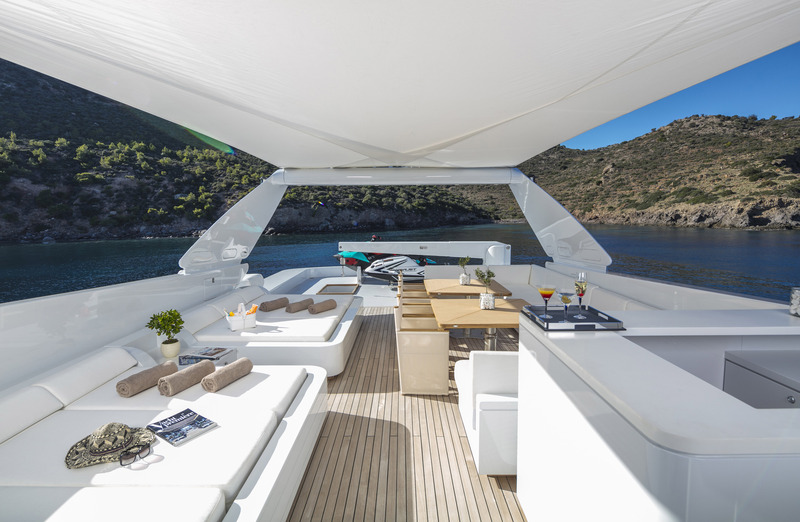 Up on the flybridge, the starboard side is laid out with raised sunpads. 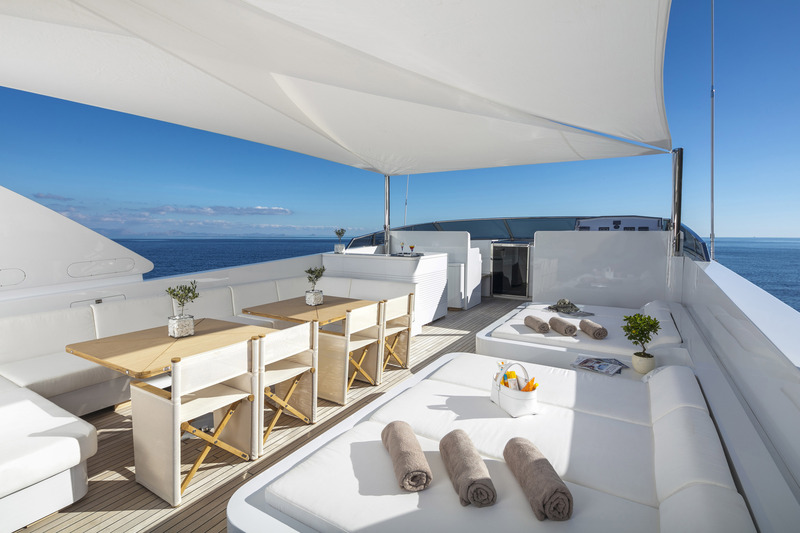 On the port side there is a C-shaped sofa ideal for alfresco dining and relaxing outdoors with interests under the shade of canvas, while nearby a wet bar will keep guests hydrated in the sun. 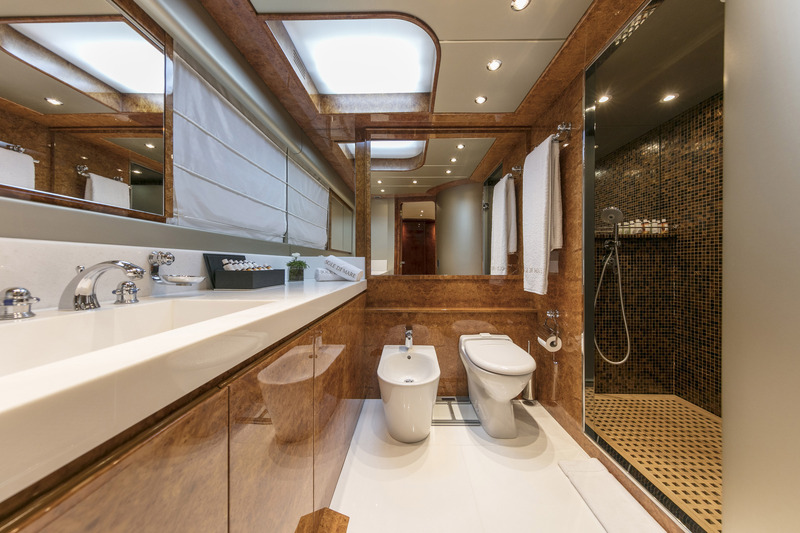 The lower deck hosts the guest accommodation, all of which have en-suite facilities, while the full-beam Master suite also has a walk-in wardrobe. 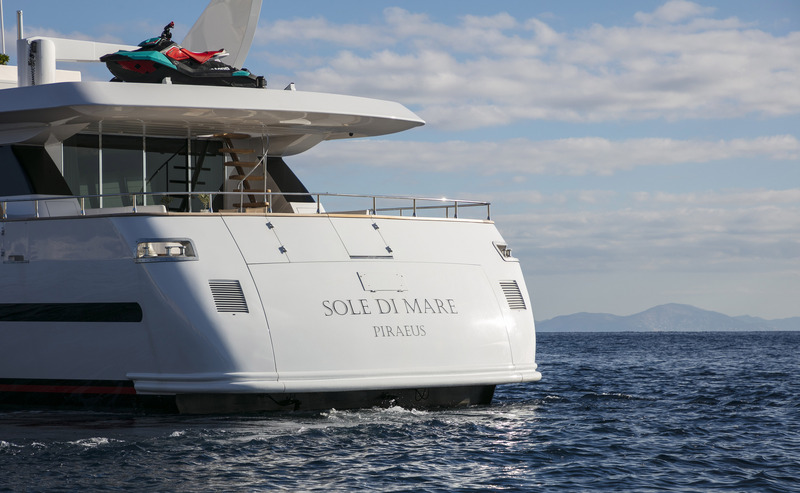 Crew accommodation is located in the bow. 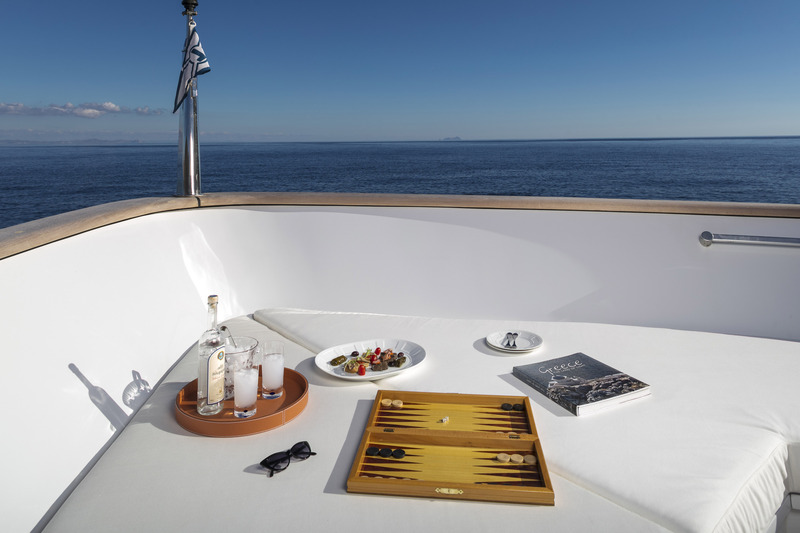 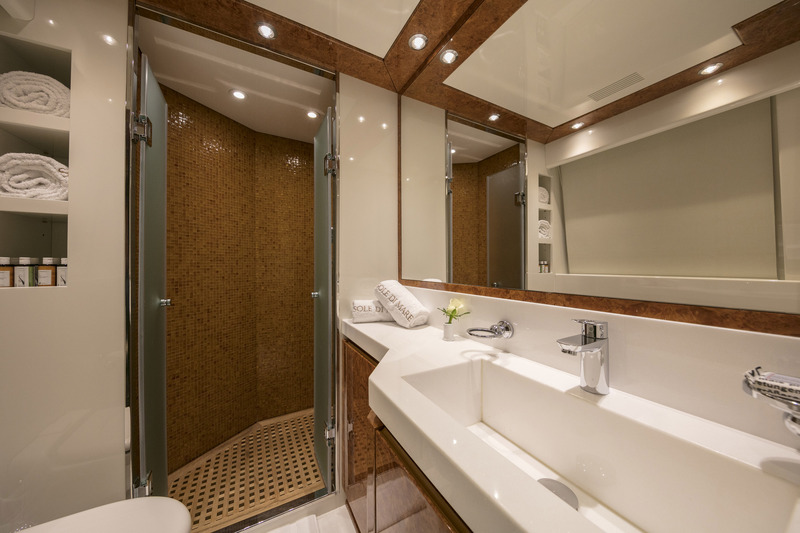 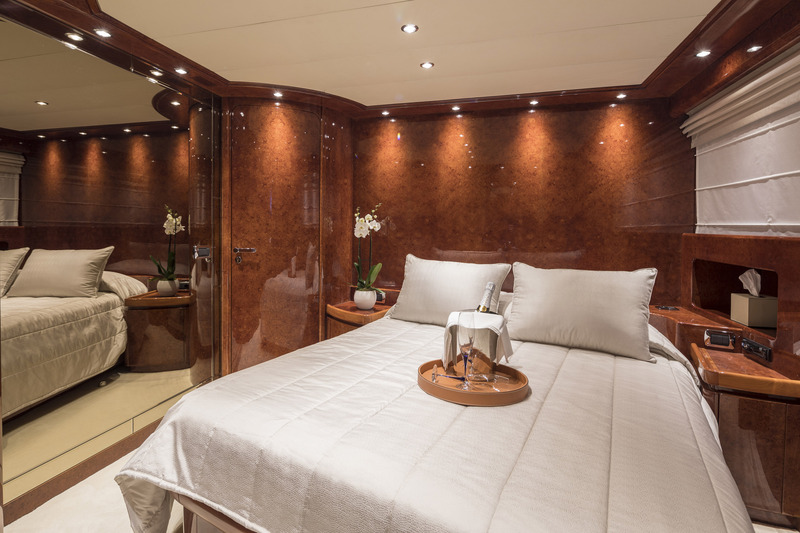 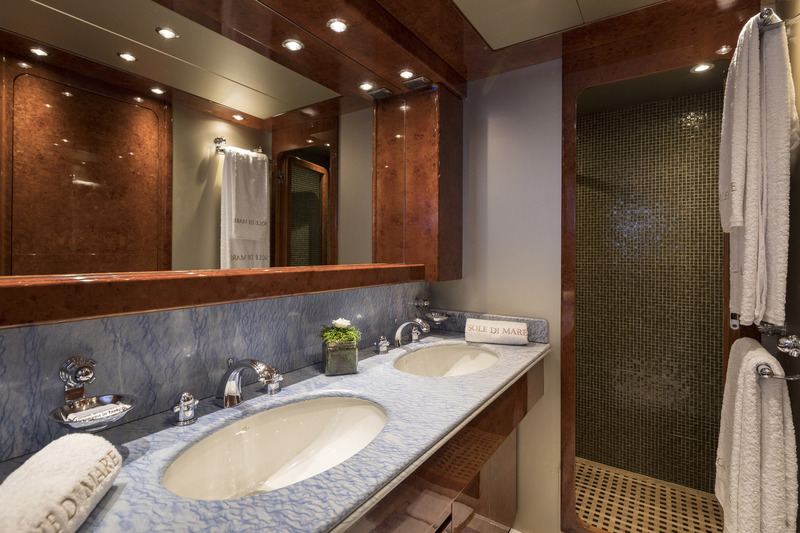 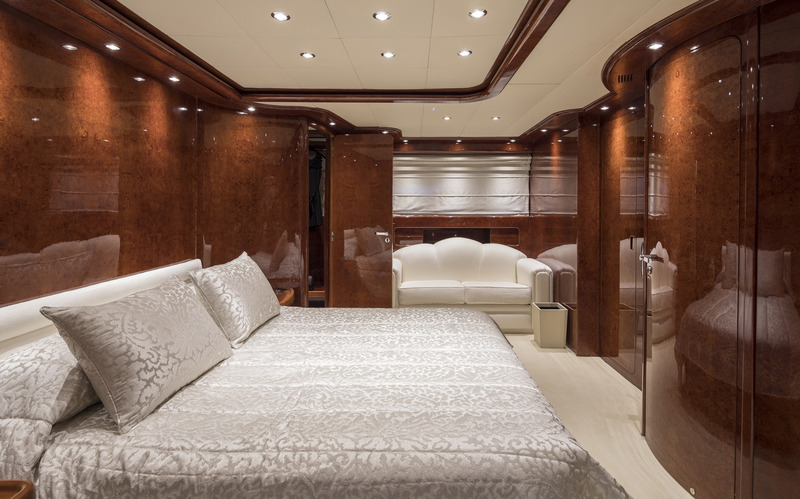 On the main deck, there is a VIP stateroom with en-suite facilities and enough space for a private lounge. 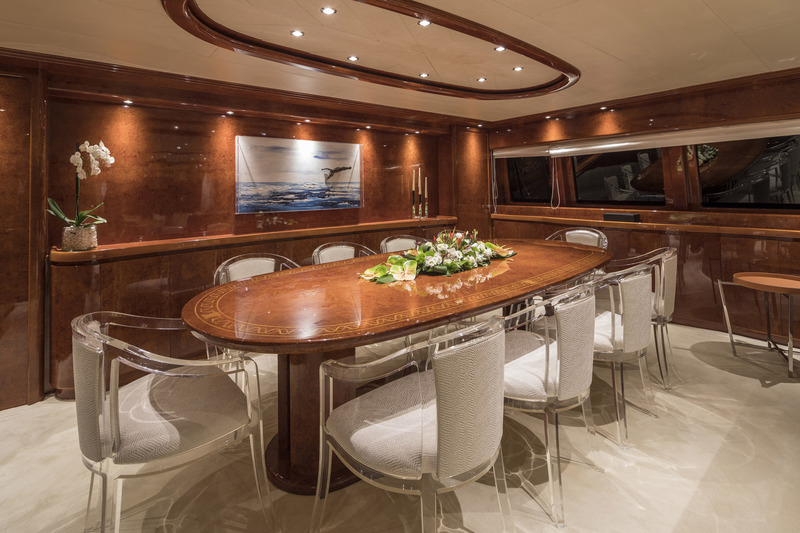 The formal dining and salon combine into one large space using timeless styling, with contemporary updates: The formal dining table matches the surrounding rich wooden paneling while the transparent chairs are as comfortable as they are unique. 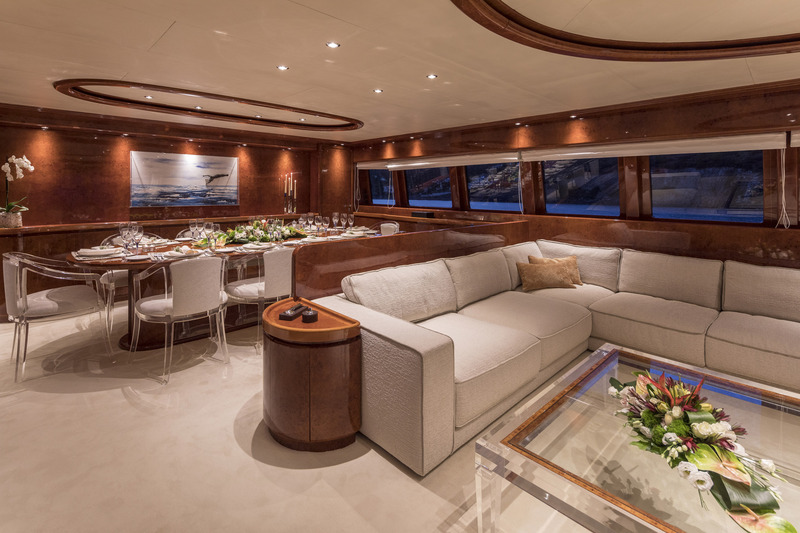 An expansive sofa fills the length of the lounge and is positioned beside the starboard windows for excellent natural light. 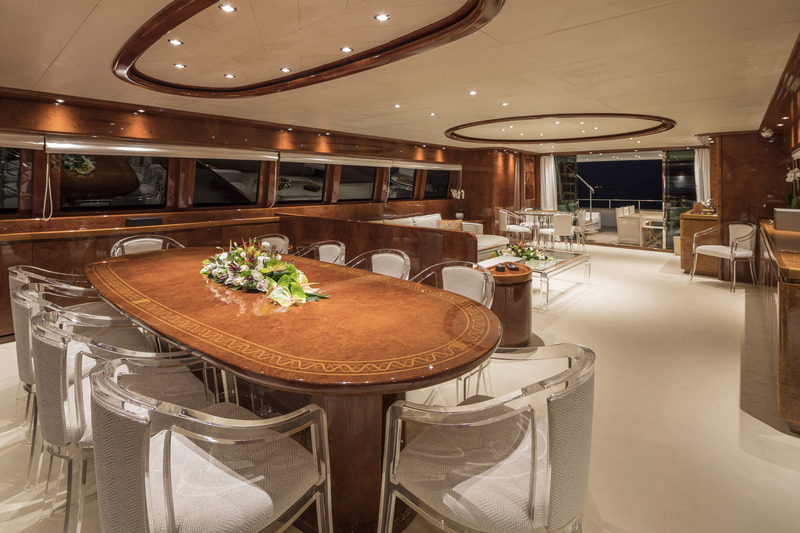 A widescreen television is hidden in the cabinetry opposite, while close to the glass sliding doors there is a games table that enjoys excellent views. 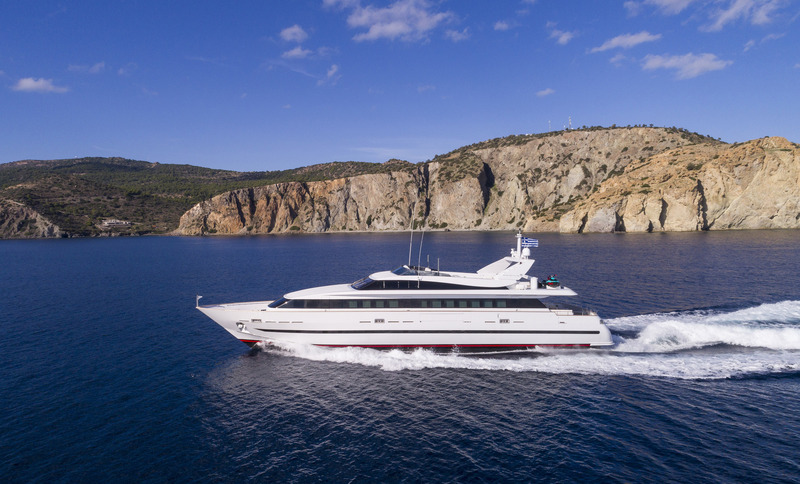 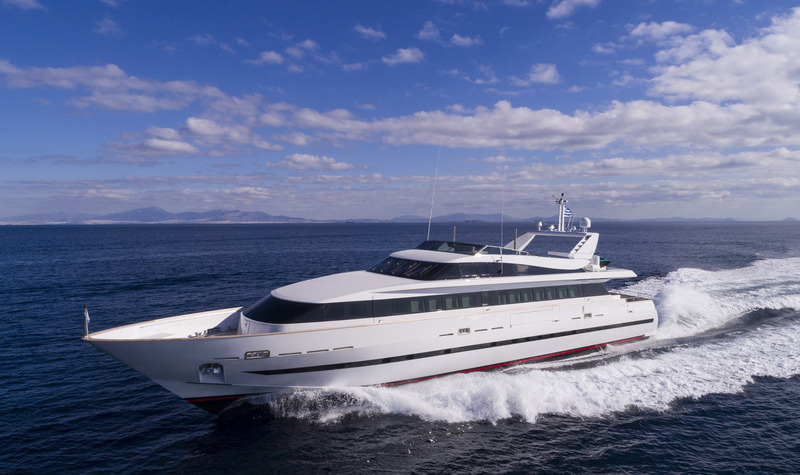 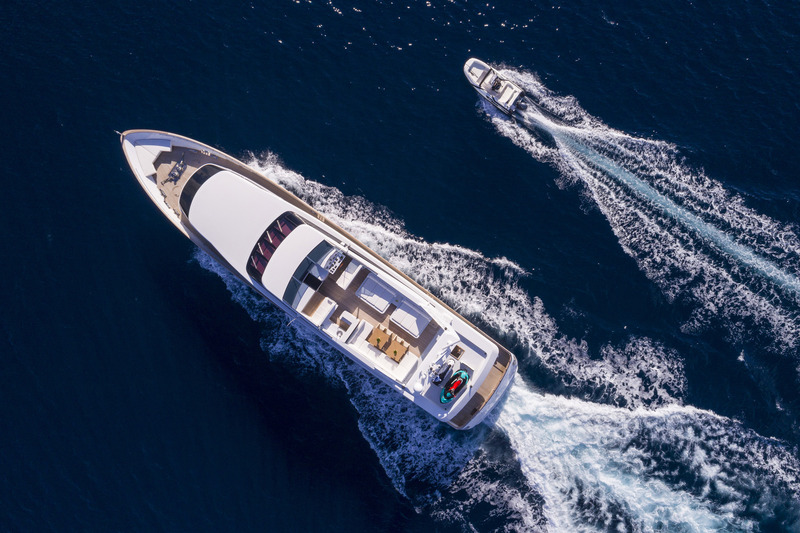 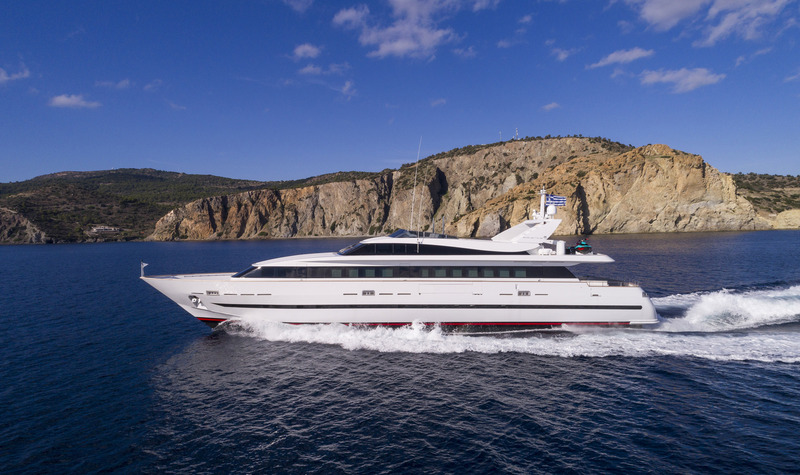 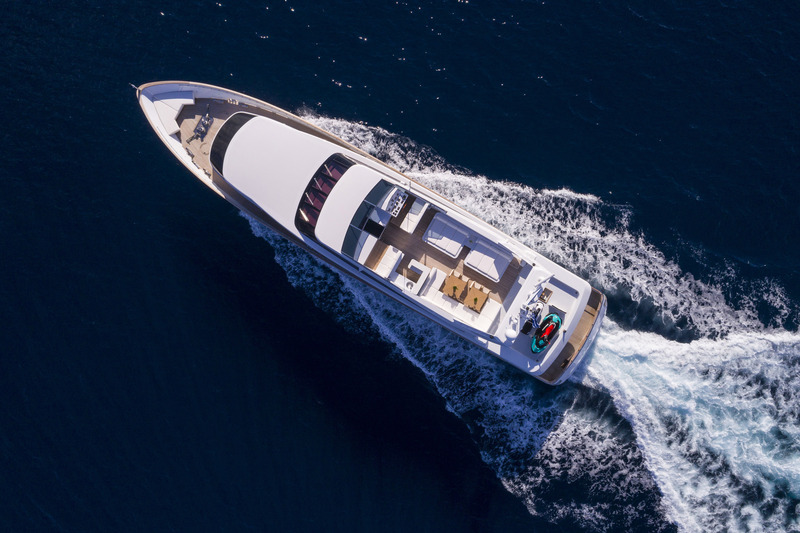 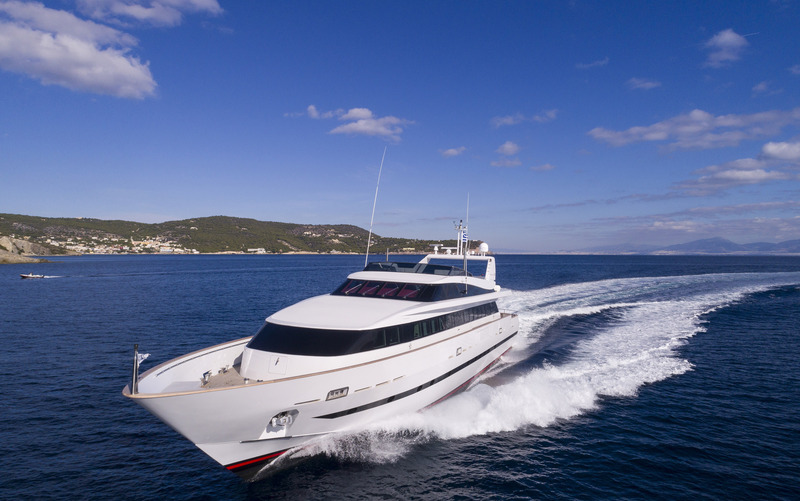 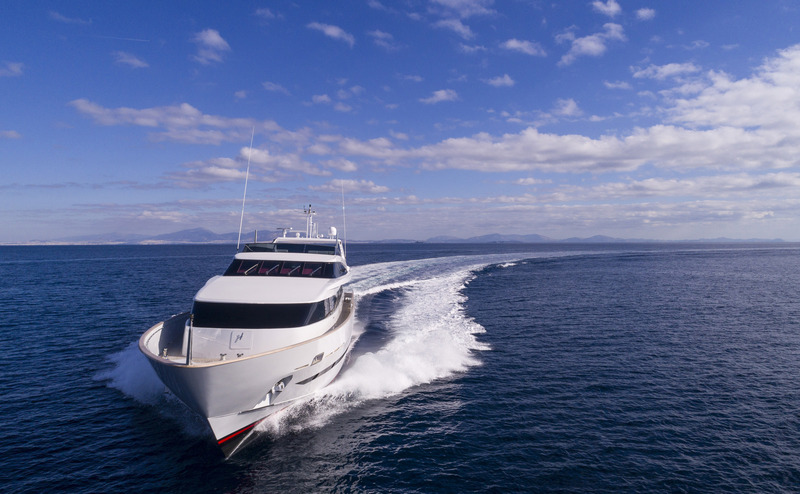 2 x 2285hp MTU 394TE 94 engines produce a cruising speed of 22 knots, making her an ideal choice for island-hopping and visiting multiple destinations along a single stretch of coast. 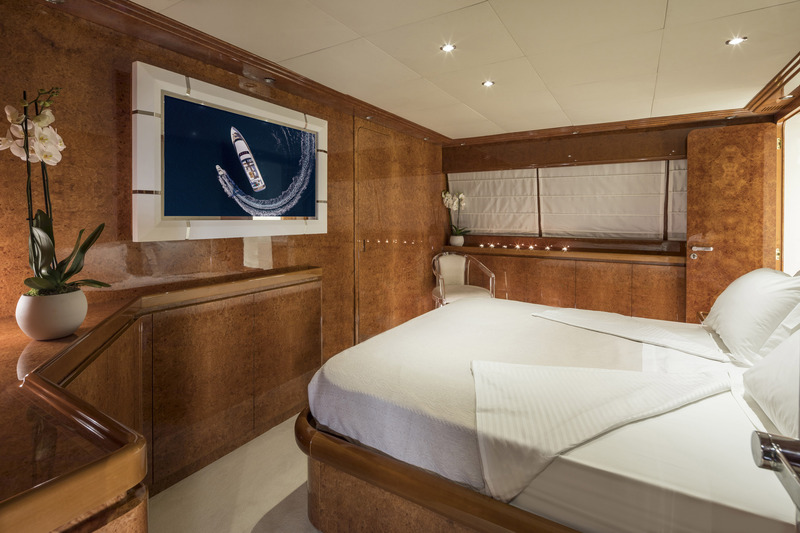 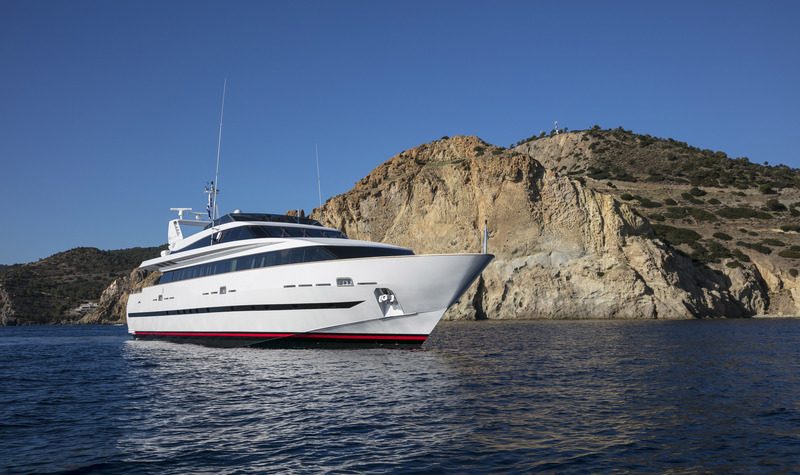 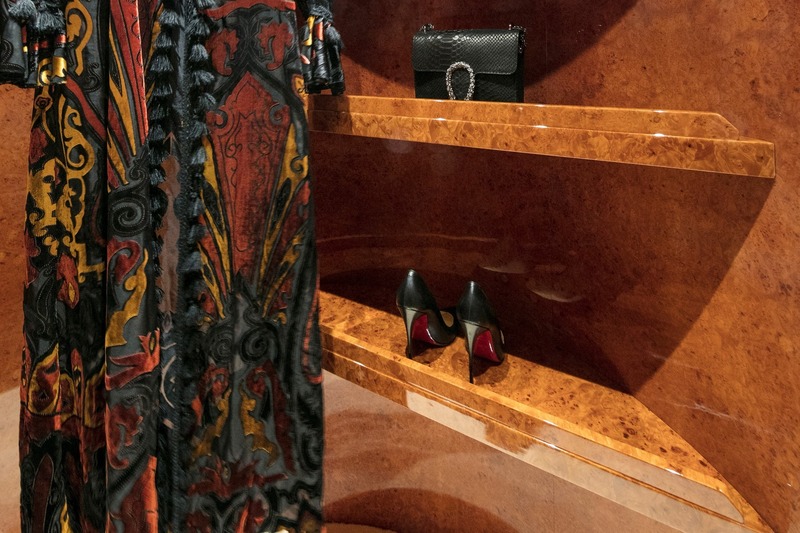 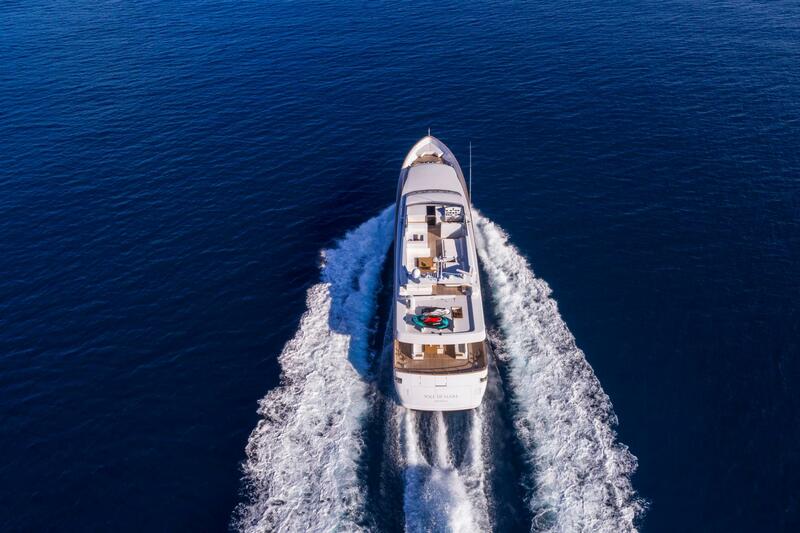 Up to 12 guests are accommodated over 6 cabins: 1 Master suite, 1 VIP stateroom, 2 double cabins and 2 twin cabins, all of which have en-suite facilities. 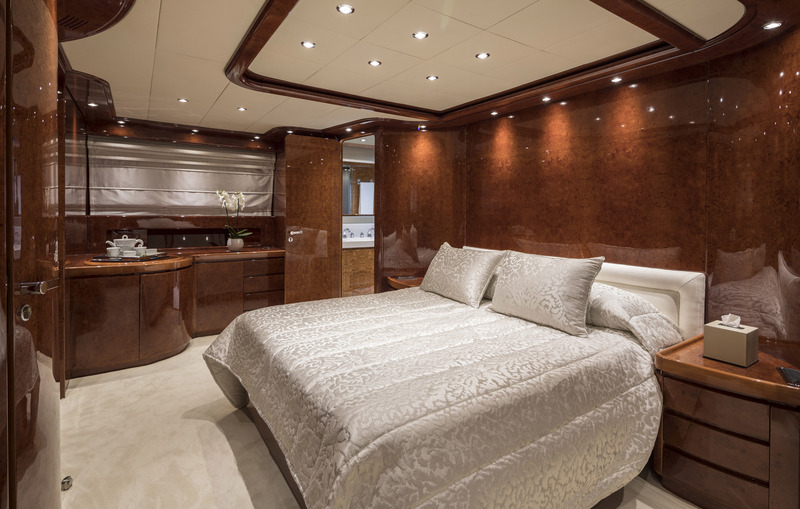 The crew accommodation sleeps 6. 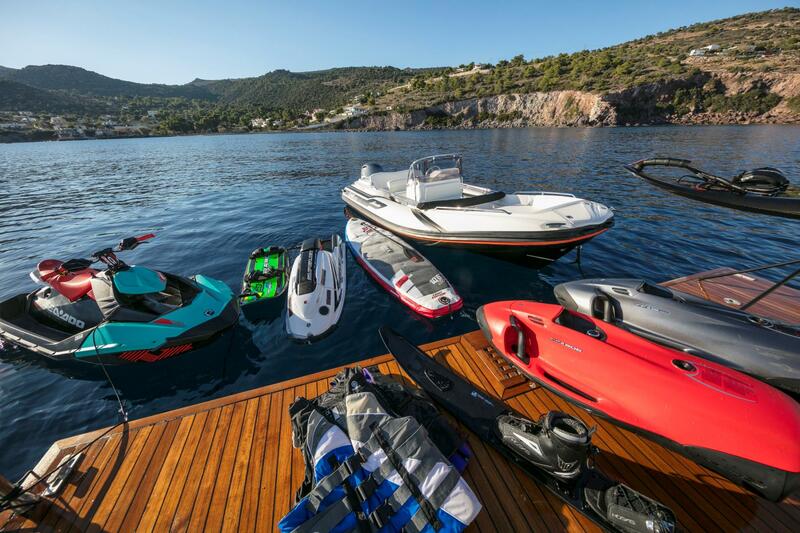 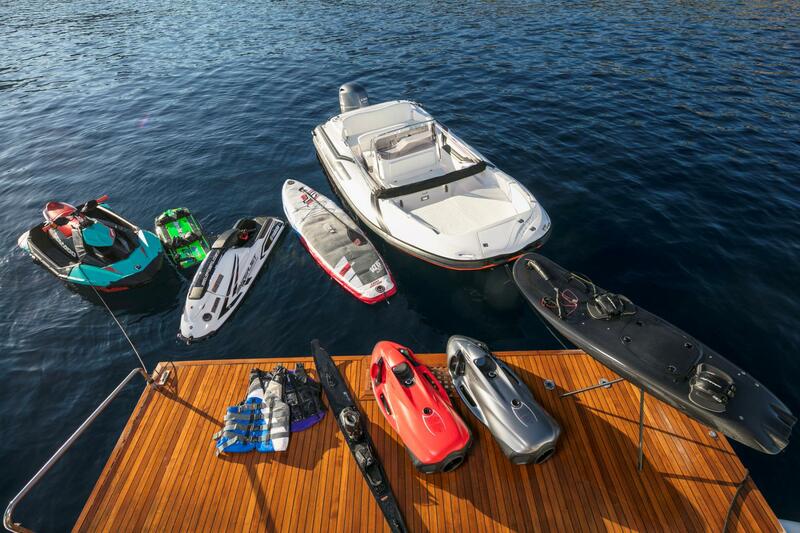 Tenders & Toys aboard SOLE DI MARE include: 1 x 5.30m ZAR Rib with outboard engine Yamaha 130hp 1 x Sea Doo Spark TRIXX 160hp 1 x Stand up jet ski Yamaha Super Jet 700 2 x Jet surfs 2 x Seabobs F5 Stand up paddle board Communications Wi Fi GSM Internet conneciton Audio Visual Equipment and Deck Facilities Satelite TV. 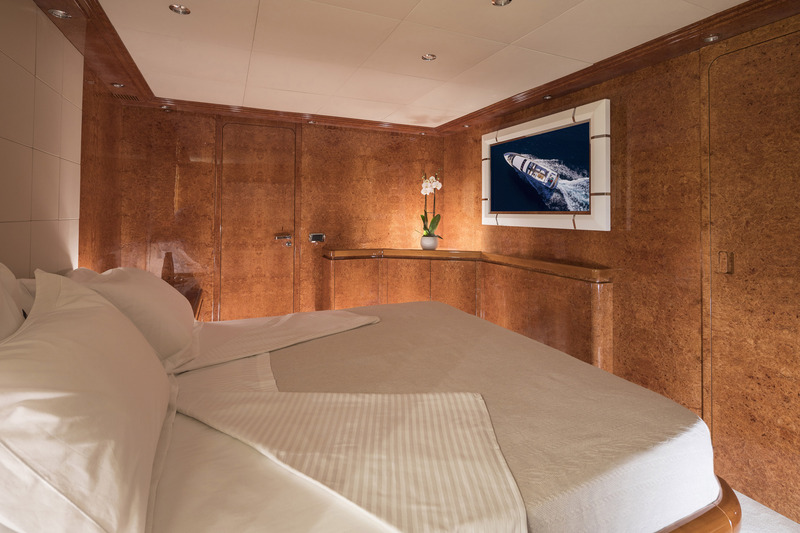 55'' HD TV in the main salon with air play connection. 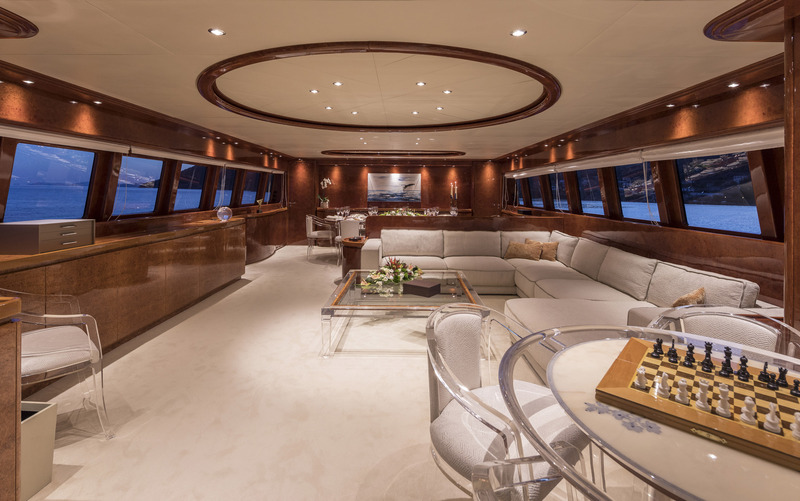 50'' HD TV in the VIP cabin. 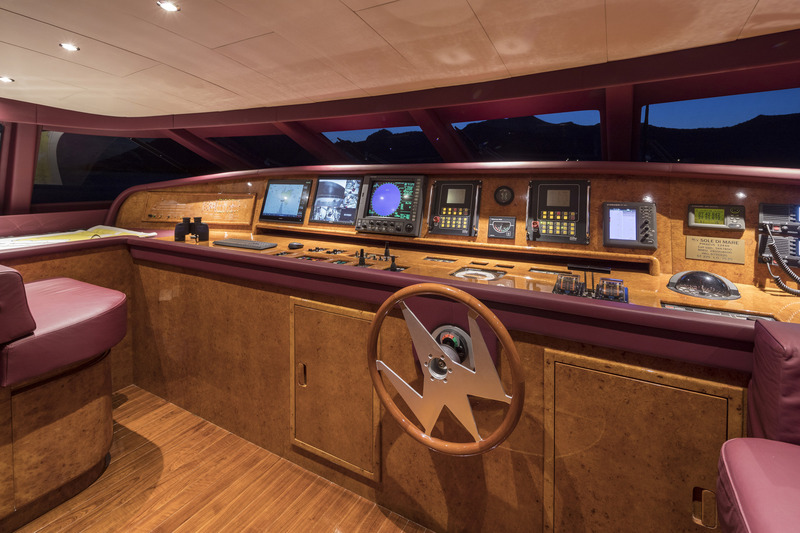 Music surround system in all cabins. 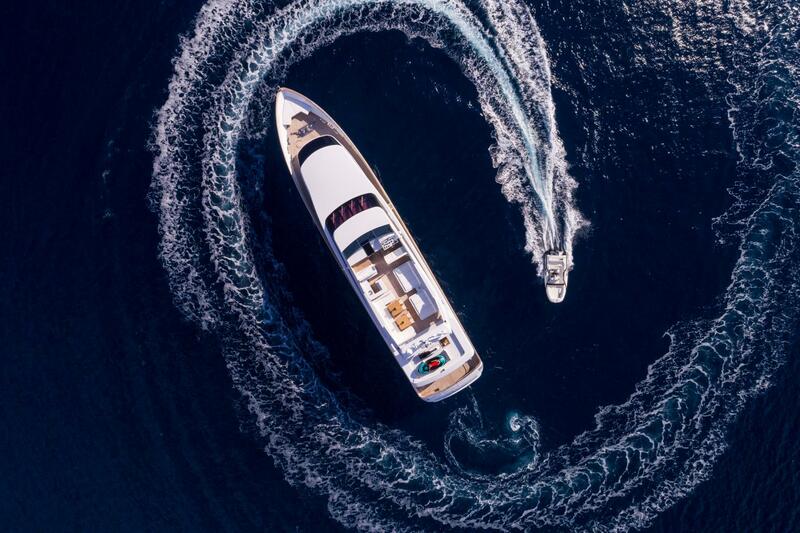 Air play connection with iphone/ipad for music throughout the yacht. 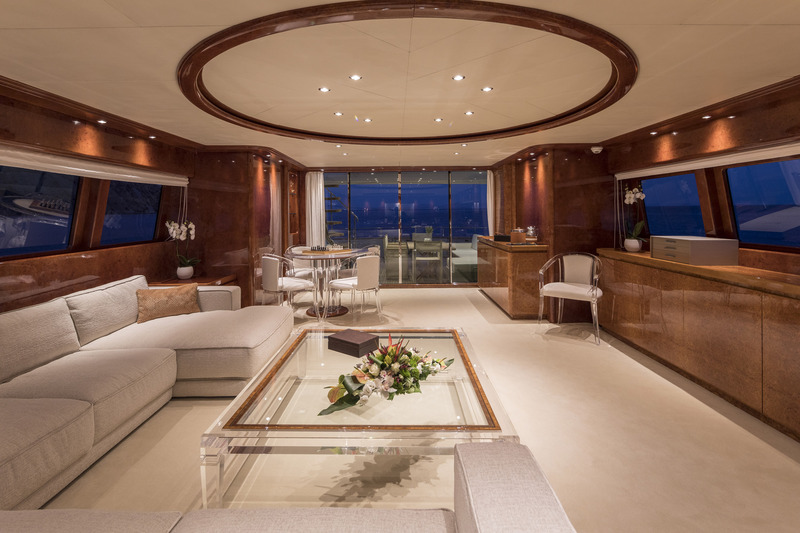 Yamaha surround system in salon and outside areas.